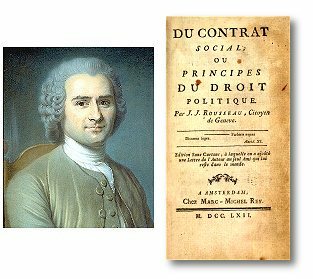 On The Social Contract has been the handbook of rebels from Robespierre to Pierre Trudeau. Mallet du Pan called it “the Koran of the Revolutionists”, and Thomas Carlyle thought that its author was “the Evangelist of the French Revolution”. Its style and romantic outlook inspired Shelley, Byron, and Wordsworth, yet Voltaire said that Jean-Jacques was to philosophers what the ape is to man, while Napoleon, musing before Rousseau’s tomb, is said to have wondered whether it might not have been better for the world if neither of them had ever been born. General Will and Will of All: The Will of All is the sum total of all the individual desires of citizens, but, as some of these will conflict and thereby cancel each other out, what is left is the General Will, which is, in effect, the desires of the Sovereign. Government: The executive power of the State. The administrators collectively. Legislator: The one who first defines the system a State will operate on. Magistrate: Any minister, official or administrator. Prince: That person or body which has day-to-day control of the State. Social Contract: The assumed agreement between each citizen and State whereby, roughly, the State gives protection in return for obedience. State of Nature: Human life without society- each free to act as their impulses dictate. Rousseau is a rather imprecise writer, using many familiar terms in ways which, at least today, seem rather strange. We haven’t done much about that, other than taking care to give those ‘odd terms’ initial capitals, as in ‘Prince’ or ‘Sovereign’ and point the reader towards the glossary. With general tidying On the Social Contract has shrunk from some 45,000 words to a little over 9,000. I am indebted to Rebecca Armstrong of Balliol College, Oxford for translating the line from The Ã†neid. Can there can be any sure and legitimate method of civil administration, which will take men as they are, and laws as they might be? MAN is born free; and everywhere he is in irons. How did this come about? Hobbes and Aristotle thought some are born for slavery, and others for dominion. BUT no man has natural authority over others, and force creates no right. Legitimate authority comes only from agreed conventions. No man can consent to slavery, by taking a slave in war, the victor has merely destroyed him for profit. A people, says Grotius, can give itself to a king, which assumes some public unanimity, on one occasion at least. MEN, in the State of Nature, must have reached some point when the obstacles to maintaining their state exceeded the ability of each individual. The problem was to find a form of association which “Will defend and protect the person and goods of each associate, yet in which each may still freely obey himself alone.” The solution to this fundamental problem is the Social Contract. The clauses of which may be reduced to one- the total giving of all the rights of every individual to the community, in the knowledge that, because the same condition applies to everyone, no one has any interest in making them harsh. Such an association creates a moral and collective body, called a city, or a Republic or Body Politic, its people citizens, the members of, and collective owners of, The Sovereign power. THE General Will alone can direct the State, it is always right and tends to the public advantage; while the ‘Will of All’ takes private interest into account, and is no more than a sum of individual wills; but take away from these same wills the conflicting desires that cancel one another, and the General Will remains as the sum of the differences. There should be no partial factions within the State. 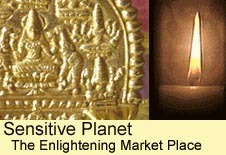 A First Legislator is needed to mark out political institutions, he may need to claim that the gods direct his wisdom. NOT all political systems suit all States. Generally, democratic government, where all the people determine all the laws (though that is actually impossible) suits small States. Aristocratic government, where a small body of elect, chosen by voting or birth or lot, rule, suits those of middle size, and monarchy, where one person, elected or otherwise, rules, suits great ones, though there are innumerable exceptions. The rest being equal, the government under which the citizens multiply most, is the best. The government of ancient Rome has much to commend it. CONFLICT between state and religion might be overcome by promoting a non-religious faith which asserts the existence of a beneficent Divinity, the sanctity of the Social Contract and the laws, and which utterly forbids intolerance. This little treatise is the least unworthy part of a longer work, which I began years ago, without then realising my limitations. I MEAN to inquire if there can be any sure and legitimate method of civil administration, which will take men as they are, and laws as they might be; uniting justice and necessity. If I were a Prince or a Legislator, I should not waste time in words; I should do it. But, as I was born a citizen of a free State, I feel that my right to vote makes it my duty to study laws, and reflecting upon governments, I find always new reasons to love that of my own country. MAN is born free; and everywhere he is in irons. One thinks himself the master of others, and still remains a greater slave than they. How did this come about? If I took into account only the effects of force, I should say: “When a people is compelled to obey, and obeys, it does well; but when it can shake off the yoke, and shakes it off, it does still better.” The social order is a sacred and basic right, but it does not come from nature, it must be founded on conventions. THE family may be called the first, and the natural, model of political societies: the ruler corresponds to the father, the people, the children; all, being born free and equal, they alienate their liberty only for their own advantage. The difference is that the father’s care for his children is repaid in love, while in the State, the ruler is repaid by his joy at commanding. Both Grotius and Hobbes write about the human species as like herds of cattle. Just as the Emperor Caligula concluded that either kings were gods, or that men were beasts, they, and Aristotle before them, say that men are not equal naturally; some are born for slavery, and others for dominion. Aristotle was right; but he took the effect for the cause. Nothing can be more certain than that slaves lose everything in their chains, even the will to escape from them. STRENGTH alone is never enough to make a man master, unless he transforms strength into right, and obedience into duty. But how do we explain the often-quoted principle of ‘the right of the strongest’? To yield to physical force is an act of prudent necessity, not of will. If a brigand with a pistol demands my purse, I will surrender it. But if I could withstand him, am I still conscience-bound to give it up? Force does not create right; we are obliged to obey only legitimate powers. SINCE no man has natural authority over his fellow, and force creates no right, we must conclude that legitimate authority comes only from agreed conventions between men. If an individual, says Grotius, can alienate his liberty and make himself a slave, why could not a whole people do the same and make itself subject to a king? But a man who becomes a slave does not give himself, he sells himself, at least for his subsistence: but what could a people sell itself for? Far from giving his subjects sustenance, a King takes his from them. Perhaps the despot offers security, but what when his ambition leads to wars? Tranquillity is found in dungeons; but does that make them desirable places to live? To say that a man gives himself gratuitously, is to say that he is mad, and madness creates no right. Even if a man could alienate himself, he could not alienate his children. So, to legitimise an arbitrary government, every generation would have to be in a position to accept or reject it. To renounce liberty is incompatible with man’s nature; to remove all liberty is to remove all morality from his acts. TO subdue a multitude is not to rule a society. If scattered individuals were enslaved by one man, I see merely a master and his slaves, not a people and its ruler. Even if he has enslaved half the world, he is still only an individual; if he dies, his empire dies, as an oak falls and dissolves into ashes before the fire. A people, says Grotius, can give itself to a king. Which assumes some public deliberation. The rule of majority voting is itself something established by convention, which presupposes unanimity, on one occasion at least. MEN, in the State of Nature, must have reached some point when the obstacles to maintaining their state exceeded the ability of each individual. The human race must then perish, or change. But, as men cannot create new forces, only unite and direct existing ones, they can preserve themselves only by combining forces great enough to overcome the resistance. The problem then is to find a form of association which “Will defend and protect the person and goods of each associate, yet in which each may still freely obey himself alone.” The solution to this fundamental problem is the Social Contract. The clauses of this contract may be reduced to one- the total giving of all the rights of every individual to the community, in the knowledge that, because the same condition applies to everyone, no one has any interest in making them harsh, and no associate has anything more to demand. Such an association creates a moral and collective body, composed of as many members as the people assembled. This public person, formed by the union of many, is called a city, or a Republic or Body Politic, its people citizens, the members of, and collective owners of, The Sovereign power. IN making this contract, each member, as part of the Sovereign Power, is bound to all the individuals. Duty and interest oblige the two parties to help each other. The Sovereign, being only the individuals who compose it, neither has nor can have any interest contrary to theirs; and consequently need give no guarantee to its subjects. The Sovereign, by virtue of what it is, is always what it should be. However, individual subjects may have interests quite different from the common interest; may wish to enjoy citizenship without being ready to fulfil its duties. Such an anomaly could be the undoing of the Body Politic. But, in order then that the Social Contract may not be an empty formula, it asserts that whoever refuses to obey the General Will shall be compelled to do so by the whole body. This means nothing less than that he will be forced to be free. In this lies the key to the political machine, this alone legitimises civil undertaking. THE passage from the State of Nature to the civil state produces a very remarkable change in man; by substituting justice for instinct, and duty for physical impulses, it gives his actions a morality they formerly lacked. What man loses by the Social Contract is his natural liberty and an unlimited right to everything; what he gains is civil liberty and the proprietorship of his possessions. To avoid the mistake of weighing one against the other, we must distinguish natural liberty, limited only by the strength of the individual, from civil liberty, which is limited by the General Will; and possession, which is merely the force of the first occupier. But I already go on to much. AT the founding of a community, each member gives himself to it, with all his resources and all his possessions. The State becomes master of all the goods of its members by virtue of the Social Contract, the basis of all rights; but it holds its other powers only by right of being the first occupier. To establish right of first occupation over land it is necessary, that the land be not inhabited; that the occupier take only what he needs; and that possession be taken by actual labour and cultivation. Is it possible to leave such a right unlimited? Is enough to set foot on a plot of common ground, in order to call yourself the master of it? When Nunez Balboa, standing on the seashore, took possession of the South America in the name of Castille, was that enough to dispossess its actual inhabitants? On such a showing, the Catholic King need only take possession all at once, from his apartment, of the whole universe. THE most important deduction from the principles we have laid down is that the General Will alone can direct the State, and that it is solely because of this common interest that every society should be governed. I hold then, that Sovereignty, being the exercise of the General Will, can never be alienated, and that the Sovereign, who is actually a collective being, cannot be represented except by himself. This does not mean that the commands of the rulers cannot pass for General Wills, so long as the Sovereign offers no opposition. In such a case, universal silence is taken to imply the consent of the people. SOVEREIGNTY is inalienable and it is indivisible. The General Will, the will of the body of the people, is an act of Sovereignty and constitutes law, while the will of only a part is merely an act of magistracy, at most a decree. Yet our political theorists are like the conjurers of Japan, who dismember a body and then seem to join it together again we know not how. Thus, they divide the Sovereign Body Politic into legislative power and executive power, into rights of taxation, justice and war; into internal administration and power of foreign treaty. For example, they see the acts of declaring war and making peace as acts of Sovereignty; but this is not the case, these are merely particular acts which decides how the law applies. This misunderstanding has caused much confusion in judging the respective rights of kings and peoples. The General Will is always right and tends to the public advantage; but it does not follow that the deliberations of the people are always correct. The people is never corrupted, but is often deceived. The ‘General Will’ considers only the common interest, while the ‘Will of All’ takes private interest into account, and is no more than a sum of individual wills; but take away from these same wills the conflicting desires that cancel one another, and the General Will remains as the sum of the differences. It is therefore essential, if the General Will is to express itself, that there should be no partial factions within the State, that each citizen should think only his own thoughts. But if there are partial societies, it is best to have as many as possible and to prevent them from being unequal, as was done by Solon. EACH man alienates, by the Social Contract, only such of his powers, goods and liberty as it is important for the community to control; but the Sovereign, under the direction of the General Will, is sole judge of what is important. Why, then, is it that the General Will is always in the right? Because every man thinks of “each” as meaning him, and considers himself when voting for all. Thus the justice created by equality originates in the preference each man gives to himself. Thus, from the very nature of the contract, every act of Sovereignty, of the General Will, binds or favours all citizens equally. What, then, strictly speaking, is an act of Sovereignty? It is not a convention between a superior and an inferior, but a convention between the body and each of its members. It is legitimate, because it is based on the Social Contract. It is equitable, because it is common to all. It is useful, because it can have no other object than the general good, and it is stable, because it is guaranteed by the supreme power. Given these distinctions, it is clear that the Social Contract does not involve any real renunciation by individuals, rather, the contract gives them the advantage of security and protection. THE question is often asked, how individuals, having no right to kill themselves, can transfer such a right to the Sovereign. Every man has a right to risk his life in order to preserve it. Is a man who throws himself from a window to escape from a fire guilty of suicide? The social treaty has for its end the preservation of the parties. He who wills the end, wills also the means, and the means must involve some risks, and even some losses. Furthermore, the citizen is not the judge of the dangers which the law demands of him. When a Prince says “The State requires that you die,” he ought to die, because his present security has been held on that condition, his life is no mere bounty of nature, but a gift made conditionally by the State. It is in order that we may not fall victims to an assassin that we consent to be executed if we ourselves turn assassin. We slay the malefactor, not as a citizens, but as a traitor to his country, who has forfeited his standing as a moral person. Yet there is not a single ill-doer who could not be turned to some good. The State has no right to put to death, even for the sake of making an example, any one whom it can leave alive without danger. The right of pardoning or exempting the guilty from a penalty imposed by law and a judge belongs only to the authority above both judge and law, namely, the Sovereign. But I feel my heart restraining my pen; let us leave these questions to the just man who has never offended. BY the Social Contract we have given the Body Politic existence and life; we have now, through legislation, to give it movement and will. All justice comes from God, and if we knew how to receive such high inspiration, we should need neither government nor laws. In the State of Nature, where everything is common, I owe nothing to him whom I have promised nothing. But in a society, rights are fixed by law. But what, in society, is a law? Law considers subjects en masse and actions in the abstract. Thus the law may decree privileges, but cannot confer them on anybody by name. It may set classes of citizens, but it cannot nominate who belongs to them. It may establish a monarchy, but it cannot choose a king. We at once see that legitimate laws are acts of the General Will. No Prince is above the law, since he is a member of the State. No law can be unjust, since no one is unjust to himself. We can be both free and subject to the laws, since they are but registers of our wills. What any man commands of his own volition cannot be a law. I give the name “Republic” to every State governed by laws, no matter what its form of administration. Now, the people, being subject to the laws, ought to be their author, but how? But how can a blind multitude, often ignorant even of its own good, carry out the great and difficult enterprise of legislation? The people must be got to see objects as they are, and sometimes as they ought to appear; it must be shown the good road, secured from the seductive influences of individual wills, made to weigh the attractions of present advantages against the danger of distant evils. This makes a Legislator necessary. TO discover the rules best suited to a nation would need an extraordinary intellect, able to understand human nature and human happiness, yet not be part of it, to be able to work in one century for the benefit of the next. In short, it would take gods to give men laws. But even great Princes are rare, how much rarer are great Legislators? He who dares to undertake the making anew of a people’s institutions must, in a word, take away men’s own resources and give them fresh ones. When each citizen can do nothing without the rest, and the resources of the whole are equal or superior to the aggregate of all individuals, it may be said that legislation has reached its highest perfection. When Lycurgus gave laws to his country, he began by resigning the throne. Likewise, most Greek towns, modern Italian Republics, and Geneva, have entrusted the establishment of their laws to foreigners, and profited by it. Wise men cannot possibly make themselves understood by the common herd. There are conceptions too general and objects too remote for popular language. Legislators therefore, in all ages, have claimed that the gods direct their wisdom. But it is not anybody who can make the gods speak. Any man may carve tablets of stone, or bribe an oracle. He may perhaps gather a band of fools; but he will never found an empire. We should not conclude that politics and religion have the same purpose, but that, when nations arise, the one is used as an instrument for the other. JUST as an architect surveys the site to see if it will bear the weight of the building, so the wise Legislator begins by investigating the fitness of the people. Plato refused to legislate for the Arcadians, because he knew that rich peoples could not endure equality. Most peoples, like most men, are docile in youth; but become incorrigible as they grow old. Once customs have become inveterate, reform is dangerous or useless. Thus, Russia will never really be civilised, because Peter the Great tried to make his barbarous people into Germans or Englishmen, when he ought to have been making Russians. Just as nature has determined the size of a man, so a State must be neither too large for good government, nor too small for self-maintenance. Layers of city, district, and provincial administration are a continual drain upon the subjects, and when emergencies arise, resources are too wide stretched. Moreover, the people has little affection for rulers it never sees, for a homeland which seems as big as the world, and for fellow-citizens who are mostly strangers. Talent is buried, leaders are overwhelmed, and the State comes to be governed by clerks. Thus it is a part of the statesman’s skill to find the mean between expansion and contraction of the State. Too much land is troublesome to guard and difficult to cultivate. Too little land, and the State depends upon its neighbours, which soon gives rise to wars. There can be no definitive proportion between territory and population because of differences in land, climate, temper of the inhabitants and the fertility of its women. The Legislator therefore should be mindful of local circumstances. The period at which a State is first established is the moment when it is most vulnerable. Usurpers always choose troublous times to pass destructive laws, which is one of the surest means of distinguishing the Legislator from the tyrant. What people, then, are ready for new legislation? One bound by common or interests, but unaware of the yoke of law. One that is secure, but without ingrained superstitions. These conditions are rarely found united, thus few States have good constitutions. Yet, there is still one country capable of being given laws- Corsica. I have a feeling that some day that little island will astonish Europe. IF we ask what great good should be the end of legislation, we shall answer liberty and equality. I have already defined civil liberty. By equality, we should understand, not that power and riches are to be identical for everybody; but that power shall be exercised by virtue of rank and law, and never be great enough for violence, that no citizen shall ever be wealthy enough to buy another, nor any poor enough to be forced to sell himself: which implies moderation in goods and position, and, moderation in avarice among the common people. Such equality, we are told, is an unpractical ideal. But does it follow that we should not at least make regulations concerning it? To this end, every good legislative system need modifying to local situations. If, for instance, the soil is unproductive, or the land crowded, the people should turn to crafts, and exchange manufactures for the commodities they lack. If they dwell in fertile lands, or lack inhabitants, they should attend to agriculture. If a nation dwells on a convenient coast, let it cover the sea with ships and foster commerce and navigation. It will have a life that will be short, but glorious. Thus, among the Jews and the Arabs, the chief object was religion; among the Athenians, letters; at Carthage, commerce; at Rhodes shipping; at Rome, virtue. What makes a constitution really solid is the use of laws only to secure the observance of natural relations. If the law-maker’s principles make for servitude while the people seek liberty, or for riches, while they make for populousness, or for peace, while they desire conquest; the laws will weaken, and the State will be either destroyed or changed. IF the commonwealth is to be put into the best possible shape, there are various relations to be considered. First, there is the action of the whole Body Politic body upon itself. The laws which regulate this are called political, or fundamental laws. The second relation is that of the members one to another, or to the body as a whole; from this arises civil laws. A third relation is that of disobedience to penalty. This is the criminal law, which is less a class of law than the sanction behind all the rest. Along with these three kinds of law goes a fourth, most important of all, which is not graven on marble or brass, but on the hearts of the citizens. I am speaking of morality, of custom, above all of public opinion; a power unknown to political thinkers, yet on which everything else depends. LET us begin by trying to exactly define government. EVERY free action is produced by two causes; one of moral will and the other physical. When I walk towards an object, it is first necessary that I should will to go there, and, second, that my feet carry me there. The Body Politic has the same two motive powers; legislative power being the will and executive power the force. We have seen that the legislative power belongs to the people alone. But executive power cannot belong to the people generally, because it consists of acts which fall outside the competence of law. What then is government? It is an intermediate body set up between the subjects and the Sovereign, whose members are called magistrates, kings or governors, and the whole body bears the name Prince. I call then government, or supreme administration, the legitimate exercise of the executive power, and Prince or magistrate the man or body entrusted with that administration. Good government should be proportionately stronger as the people is more numerous. I am speaking, not of absolute force, but of the relative force of the different parts of the State. Without encumbering ourselves with this multiplication of terms, let us rest content with regarding government as a body within the State, distinct from both people and Sovereign, and intermediate between them. There is between these bodies this essential difference, that the State exists by itself, and the government only through the Sovereign. WE must now distinguish between government and its principle, as we did between State and Sovereign. As the relation of the Sovereign to the subjects is stronger in proportion as the people are more numerous, the same may be said of the relation of the government to the magistrates. The more numerous the magistrates, therefore, the weaker the government. The person of the magistrate has three different wills: his individual will and his personal advantage; the corporate will of all the magistrates, which is relative solely to the advantage of the Prince; and, third, the will of the people or the Sovereign will. Ideally, the individual will should be zero and the general or Sovereign will should predominate, but the reverse is generally the case. Furthermore, the bigger the State grows, the more its real force increases, but, the State remaining the same, the number of magistrates may increase to any extent, so that the relative force or activity of the government decreases. Moreover, it is certainly true that efficiency in executing plans diminishes the more people are in charge of it. From this it follows that the larger the State, the more should the government be tightened, so that the number of the rulers diminish in proportion to the increase of that of the people. IT remains to discover how governments are made up. In the first place, the Sovereign may commit the charge of the government to the whole people or the majority, so that more citizens are magistrates than are mere private individuals. This form of government is called democracy. Or it may restrict the government to a small number, so that there are more private citizens than magistrates; this is aristocracy. Lastly, it may concentrate the whole government in a single magistrate from whom all others hold their power. This third form is the most usual, and is called monarchy, or royal government. There has always been dispute concerning the best form of government, without considering that each is in some cases the best, and in others the worst. Generally, democratic government suits small States, aristocratic government those of middle size, and monarchy great ones, though there are innumerable exceptions. HE who makes the law knows best how it should be applied. But it is not good for the law-maker to execute them, for nothing is more dangerous than the influence of private interests in public affairs. Strictly, there never has been a real democracy, and never will be. It is against nature for the many to govern the few, and it is unimaginable that the whole people should be forever assembled to consider public affairs. A true democratic government requires a very small, simple, State, where the people can readily be got together, where each citizen can know all the rest, and where there are few inequalities. No government is so subject to civil wars and divisions as democratic government, because none is so prone to change. Under such a constitution the citizen should arm himself with strength and constancy, and say, every day of his life; Malo periculosam libertatem quam quietum servitium [Better freedom with danger than peace with slavery]. Were there a nation of gods, their government would be democratic. Such perfect government is not for men. The first societies governed themselves aristocratically. The heads of families took counsel together on public affairs, while the young bowed without question to experience. The savages of North America yet govern themselves by this natural aristocracy, and their government is admirable. But riches or power were put before age, and aristocracy became elective or hereditary. Hereditary aristocracy is the worst of all governments; but elective aristocracy is the best, and is an aristocracy properly so called. Assemblies are more easily held, and the credit of the State is better sustained. It is the best and most natural arrangement that the wisest should govern the many, as long as they govern for its profit, and not for their own. So far, we have considered the Prince as a moral and collective person. We must now consider this power when it is gathered together into the hands of a single person: a monarch or king. Political sermonisers may tell kings that, the people’s strength being their own, their first interest is the people’s welfare, they well know that this is untrue. Their first interest is that the people should be weak, wretched, and powerless, as Machiavelli has clearly shown. His Prince is the book of Republicans. Monarchy is really suitable only for great States. But an inevitable defect is that those who rise are most often petty blunderers, swindlers, and intriguers. The people is far less often mistaken in its choice than the king. For a monarchical State to have a chance of being well governed, its size must be proportionate to the abilities of its governor. Ideally, it should expand or contract with each reign, according to the king’s capabilities. Yet, its greatest disadvantage is the want of continuous succession. When one king dies, another is needed; elections leave dangerous intervals and are full of storms; and unless the citizens are thoroughly upright, intrigue and corruption abound. What has been done to prevent these evils? Crowns have been made hereditary in certain families, and men have thus chosen to risk having children or imbeciles as rulers rather than disputing over the choice of good kings. Royal government is clearly the strongest, and, to be the best also, needs only a corporate will more in conformity with the General Will. But if, according to Plato, the “king by nature” is such a rarity, and as royal education seems only to corrupt, what is to be hoped from men brought up to reign? Kings will come to the throne wicked or incompetent, or the throne will make them so. STRICTLY speaking, there is no simple form of government. A single ruler must have subordinates; a popular government must have a head. Sometimes the distribution of power is equal, when either the constituent parts are in mutual dependence, as in the government of England, or the authority of each section is independent, but imperfect, as in Poland. LIBERTY, as Montesquieu held, not being a fruit of all climates, is not within the reach of all peoples. Government produces nothing; it takes only from the land and the people. The greater the distance between people and government, the more burdensome taxes seem. In a democracy, the people are least burdened, more so in an aristocracy, and greatest in monarchy. Monarchy therefore suits only wealthy nations; aristocracy, States of middling size and wealth; and democracy, States that are small and poor. We find then, in every climate, natural causes for the form of government; barren lands remain uncultivated, or are peopled by savages; lands yielding mere subsistence are inhabited by barbarians. Lands with a moderate surplus of product over labour suit free peoples; those abundant and fertile call for monarchical government, with the surplus being consumed by the luxury of the Prince: which is preferable to it being dissipated among individuals. Yet, to get an equal product, what a difference there must be in tillage: in Sicily, there is only need to scratch the ground; in England, how men must toil! Consider, besides, that men consume much less in hot countries. I believe that Persia abounds less in commodities because the inhabitants need less. Chardin says that “They are very proud of their manner of life, pointing out how their complexion excels that of Christians. Their skins are fine and smooth; while their subjects, the Armenians, who live the European way, are rough and blotchy.” In India, there are millions whose subsistence does not cost a halfpenny a day. Even in Europe, we find considerable differences between North and South. A Spaniard will live for a week on a German’s dinner. In England, luxury appears in a well-filled table; in Italy, sugar and flowers suffice. To all these points may be added another, that hot countries need inhabitants less than cold countries, yet can support more of them. Such a double surplus is all to the advantage of despotism. THE question “What is the best government?” is unanswerable as well as indeterminate. The question “how may we know that a people is well or ill governed?”, admits of an answer. But not everyone has the same answer. Yet, I am continually astonished that there is a simple test, either ignored, or not admitted. What is the end of political association? The preservation and prosperity of its members. And what is the surest mark of their preservation and prosperity? Their numbers and population. The rest being equal, the government under which, without external aids, naturalisation or colonies, the citizens multiply most, is beyond question the best. The government under which a people wanes and diminishes is the worst. This, statisticians, is for you to measure. AS the individual will acts against the General Will, so government continually opposes Sovereignty. This unavoidable defect tends ceaselessly to destroy it, as age and death destroy the human body. Generally, a government degenerates either when it diminishes, or when the State is dissolved. Government diminishes when it passes from the many to the few, from democracy to aristocracy, or from aristocracy to royalty. To do so is its natural propensity. The dissolution of the State may happen when the Prince ceases to administer the State in accordance with the laws, and usurps the Sovereign power. When the State is dissolved, the result is anarchy. Democracy degenerates into ochlocracy, and aristocracy into oligarchy; and royalty degenerates into tyranny; though this last word needs explanation. In common usage, a tyrant is a king who governs violently, without regard for justice and law. More accurately, a tyrant is an individual who takes royal authority without having a right to it. To clarify things, I will call him a tyrant who thrusts himself in contrary to the laws to govern in accordance with the laws; the despot is he who sets himself above the laws themselves. Thus the tyrant cannot be a despot, but the despot is always a tyrant. IF Sparta and Rome perished, what State can hope to endure for ever? We must not attempt the impossible in trying to set up eternal government, nor try to endow man with a stability which is beyond humans. The Body Politic begins to die as soon as it is born, and carries in itself the causes of its destruction. The life-principle of the Body Politic is Sovereign authority. The legislative power is the heart of the State; the executive power is its brain, which causes the movement of all the parts. A man’s brain may fail him and he still live; but when the heart fails, the animal is dead. The State subsists not by laws, but by legislative power. Why then are old laws so respected? Because we feel that it must be the excellence of old acts that has preserved them. Thus the laws continually gain strength in any well-constituted State. Wherever the laws grow weak as they become old, this proves that there is no longer a legislative power, and that the State is dead. THE Sovereign acts only by means of the laws; and the laws being solely the authentic acts of the General Will, the Sovereign cannot act save when the people is assembled. The people in assembly, I shall be told, is a mere chimera. But two thousand years ago it was not. Has man’s nature changed? The bounds of possibility, in moral matters, are less narrow than we imagine; it is our weaknesses, our vices and our prejudices that confine them. Let us judge what might be by what has been. The Roman Republic was, to my mind, a great State, and Rome a great town, which, in its last survey held four hundred thousand citizens, and the Empire over four million, excluding subjects, foreigners, women, children and slaves. Yet, few weeks passed without the Roman people being in assembly, and there exercising, not only Sovereignty, but part of government too. IT is not enough for the assembled people to fix the constitution of the State; they must hold assemblies on fixed and known dates, properly summoned by the appointed magistrates in accordance with established laws. This, I shall be told, may do for a single town, but what of a whole country? Is Sovereign authority to be divided, or to be concentrated in one town to which all others are made subject? Neither. Sovereign authority cannot be divided without being destroyed. Moreover, one town cannot legitimately be made subject to another, because the essence of the words ‘subject’ and ‘Sovereign’ are identical to the idea of ‘citizen.’ So how can small States resist great ones, as Switzerland has resisted the House of Austria? If the State cannot be reduced to the right limits, there remains one solution; to allow no capital, but have the seat of government move from town to town. People the territory evenly, extend everywhere the same rights and the same prosperity: that is how a State becomes both strong and well-governed. Remember that the walls of towns are built of the ruins of the countryside. For every palace I see raised in the capital, my mind’s eye sees a whole country made desolate. THE moment the people is legitimately assembled as a Sovereign body, the jurisdiction of the government lapses, executive power is suspended, and the meanest citizen becomes as sacred and inviolable as the leading magistrate; for in the presence of the person represented, representatives no longer exist. Such assemblies, which are the aegis of the Body Politic and the curb on government, terrify rulers, who take any chance they can to stop them. When the citizens are greedy seek ease above liberty, they do not long hold out; and thus, most cities perish before their time. But between Sovereign authority and arbitrary government there sometimes intervenes a power which must be discussed. AS soon as public service ceases to be the chief business of the citizens, the State is ready to fall. When war comes, they pay troops and stay at home: when it is necessary to meet in council, they name deputies and stay at home. Through idleness and money, they get soldiers to enslave their country and representatives to sell it. Under a bad government no one cares about the assemblies, because no one expects the General Will to prevail. It was such lukewarm patriotism that suggested the method of having deputies in national assemblies, which, in some countries, have been called the Third Estate. But Sovereignty cannot be represented; it lies in the General Will alone, there is no intermediate possibility. The deputies of the people, therefore, are not and cannot be its representatives: they are merely its stewards. Every law the people has not ratified in person is null and void. The people of England thinks itself free; but it is free only during the parliamentary elections. As soon as they are over, slavery overtakes them, and they are nothing. The use they make of the brief moments of liberty shows indeed that it deserves to lose it. The idea of representation is modern. Even in Rome, the tribunes never even imagined that they could usurp the functions of the people. In Greece, all that the people had to do, it did for itself; by assembling in the public square; but they had a generous climate, no natural greed, and slaves to do their work for them. Without the same advantages, how can you preserve the same rights? Is liberty to be maintained only by slavery? It may be so. Extremes meet. As for you, you modern peoples, you have no slaves, but you are slaves yourselves. I do not mean to encourage slavery, merely show why modern peoples, believing themselves to be free, have representatives, while ancient peoples had none. All things considered, I do not see that it is possible for true Sovereignty to be preserved, unless the city is very small. But if it is very small, it will be conquered? No! I will show later how the strength of a great people may be combined with the intelligent politics of a small State. AS the citizens, by the Social Contract, are all equal, all can prescribe what all should do, but no one has a right to demand that another shall do what he does not do himself. It has been held that this contract is between the people and the rulers it sets over itself, binding one to command and the other to obey. Let us see if this view can be upheld. First, to limit supreme authority is to destroy it. It is absurd and contradictory for the Sovereign to set a superior over itself. Moreover, any contract between the people and other persons would be neither a law nor an act of Sovereignty, thus it would be illegitimate. There is only one contract in the State, and that is the act of association, which in itself excludes the existence of any other contract. WHAT sort of on idea is the act by which government is instituted? First, the act is of two others- the establishment of the law and its execution. By the first, the Sovereign decrees that there shall be a governing body; which act is clearly a law. By the second, the people nominates its rulers. This is clearly not a second law, but merely a consequence of the first. The difficulty is to understand how there can be a governmental act before government exists, and how the people, which is only Sovereign or subject, can ever become a Prince or magistrate. Here is one of the astonishing properties of the Body Politic; it can reconcile Sovereignty into democracy, by virtue of which the citizens become magistrates and pass from general to particular acts, from legislation to the execution of the law. This happens in the English Parliament, where the Lower House sometimes forms itself into Grand Committee, which subsequently reports to itself, as House of Commons, and debates under one name what it has already settled under another. It is the peculiar advantage of democratic government that it can be established by a simple act of the General Will. Subsequently, this provisional government remains in power, if this form is adopted, or else establishes in the name of the Sovereign the government that is prescribed by law. It is impossible to set up government in any other manner legitimately. THE institution of government is a law, not a contract. The holders of executive power are the people’s officers, not its masters; for them there is no question of contract. I have shown that there is no fundamental law that cannot be revoked, even the Social Contract itself; for if all the citizens assembled chose to break the contract, it is impossible to doubt that it would be very legitimately broken. Grotius even thinks that each man can renounce membership of his State, and recover his natural liberty, by leaving the country. It would be absurd if the citizens in assembly could not do what each could do alone. AS long as men in assembly regard themselves as a single body, they have only a single will concerning their common well-being. When bands of happy peasants regulate their affairs of State under an oak, can we help scorning nations, which make themselves illustrious and wretched with so much trickery? A State so governed needs few laws. The first man to propose them merely says what all already know; there is no question of factions or intrigues or eloquence in order to secure the passage into law. Theorists err in thinking think such a policy impossible, for they know only of States that have been wrongly constituted from the start. They do not know that Cromwell would have been put to “the bells” by the people of Berne, and the Duc de Beaufort on the treadmill by the Genevese. When social bonds weaken, the State grows weak. When individual interests begin to make themselves felt, opinion is no longer unanimous; the General Will ceases to be the Will of All; contradictory views and debates arise; and even the best advice is not taken without question. Finally, on the eve of ruin, the State maintains only a vain, illusory and formal existence. Men, guided by secret motives, they no more give their views as citizens than if the State had never been; and iniquitous decrees directed solely to private interest get passed under the name of laws. Does it follow from this that the General Will is exterminated or corrupted? Not at all: it is always constant, unalterable and pure; it has only become subordinated to other wills that encroach upon its sphere. IT may be seen, then, that the way in which general business is managed gives an indication of the health of the Body Politic. Long debates, dissension and tumult proclaim the ascendancy of individual interests and the decline of the State. At the other extreme, unanimity recurs when the citizens, having fallen into servitude, use their votes out of fear or flattery; deliberation ceases, and only worship or malediction is left. There is but one law which needs unanimous consent. This is the Social Contract; for, every man being born free, no one can make any man subject without his consent. To declare that the son of a slave is born a slave is to declare that he is not born a man. Opponents of the Social Contract do not invalidate the contract, they merely prevent themselves from being included in it. When the State is instituted, residence constitutes consent; to dwell within its territory is to submit to the Sovereign. Apart from this primitive contract, the vote of the majority always binds all the rest. But how can a man can be both free and subject to laws he has not agreed to? The question is wrongly put. The citizen gives his consent to all the laws, including those he despises. When, in the popular assembly, a law is proposed, the people is asked, not whether it approves or rejects the proposal, but whether it is in conformity with the General Will, which is their will. Each man, in giving his vote, states his opinion; when an opinion contrary to my own prevails, this proves only than that I was mistaken in my assessment of the General Will. Now, a difference of one vote destroys equality; but there are several grades of unequal division, which may be regulated by two general rules. First, the more grave and important the questions discussed, the nearer should opinion approach unanimity. Secondly, the more a matter calls for speed, the smaller the difference in the numbers of votes may be allowed; where an instant decision is needed, a majority of one should suffice. THERE are two possible methods to choose the Prince and the magistrates; choice and lot. Both have been employed in various republics, and a mixture of the two still survives in the election of the Doge at Venice. “Election by drawing lots is natural to democracy…” says Montesquieu, it is “unfair to nobody, and gives each citizen some hope of serving his country.” Election by lot would have few disadvantages in a real democracy, but I have already said that real democracy is only an ideal. When choice and lot are combined, positions that require special talents, such as military posts, should be filled by the former; the lottery for cases such as judges, in which good sense, justice, and integrity are enough. Neither lot nor vote has any place in monarchical government. The monarch chooses his lieutenants as he wishes. I should now speak of the methods of counting opinions in the assembly of the people; but perhaps an account of the Roman constitution will better illustrate my point. LITTLE other than fable records the days of Rome’s foundation. We do know that the republic eventually came to be divided into for city tribes, each occupying one of the hills of Rome, thirty-five rural tribes, plus groups of Equines, or knights. We would expect the urban tribes to soon monopolise power, but Rome’s wise founder had made rural labours go along with liberty. Therefore all Rome’s most illustrious citizens lived on farms. But, eventually, the Censors, who held the right of allocating tribes, allowed anyone to enrol in whichever they pleased. So, the great and powerful chose country tribes, while freedmen remained in the towns, which, being nearer to the seat of power, enabled them to sell the State to whoever stooped to buy their votes. The Roman people, within the walls, consisted of thirty curiÃ¦, each with its own traditions, gods, officers and festivals. But, although every citizen was enrolled in a tribe, many belonged to no curia. Servius further divided the State into six classes and one hundred and ninety-three other bodies, called centuries, by wealth. He ordered that assemblies should be held on the Field of Mars, where these comitia curiata, comitia centuriata, and comitia tributa, sanctioned laws and elected magistrates. The Roman people was truly Sovereign both de jure and de facto, and it may be said that these assemblies regulated the lot of Europe. Voting, among ancient Romans, was simple; each man declared himself aloud. But, when the people grew corrupt, each man was allowed to privately record his preference on a tablet, though the honesty of the counting officers remained suspect. Edicts were issued to prevent the buying of votes, but their very number proves how useless they were. But, eventually, ambition triumphed, despite extraordinary expedients such as invoking divine miracles to support the laws. Yet, in the midst of all these abuses, this vast people, with its ancient regulations, never ceased to elect magistrates, pass laws, judge cases, and to carry through public and private business. WHEN an exact proportion cannot be maintained between the constituent parts of the State, recourse may be had to an independent magistracy, which I shall call the tribunate. It serves to protect the Sovereign against the government, as the tribunes did at Rome; sometimes to uphold the government against the people, as the Council of Ten does at Venice; and sometimes to maintain the balance between the two, as the Ephors did at Sparta. The tribunate should have no share in legislative or executive power, which makes them more revered and powerful, for, while it can do nothing, it can prevent anything from being done. When wisely tempered, is the strongest support a good constitution can have; but if its strength is even a little excessive, it upsets the whole State. The immense power of the Ephors in Sparta and the Tribunes in Rome both hastened the destruction of the republic, while the bloody Venetian Council of Ten has become an object of horror to all. The tribunate, like the government, grows weak as the number of its members increases. But the best method of curbing so formidable a body, though no government has yet made use of it, would be to have periods during which it should remain in abeyance. This would ensure that a newly restored magistrate began, not with the power his predecessor exercised, but with that which the law allows him. THE inflexibility of the laws, may, in certain cases, bring about, at a time of crisis, the ruin of the State. In these rare and obvious cases, provision is made for public security by a particular act entrusting it solely to one who is most worthy. Whenever this important trust is conferred, it is important that its duration should be fixed at a very brief period, incapable of being prolonged, lest the dictatorship become either tyrannical or idle. At Rome, the dictators held office for six months only; time enough to provide against the need that had caused him to be chosen; but insufficient to invent new tyrannies. JUST as the law is the declaration of the General Will, so the Censorship is the declaration of public judgement. Men always love what is good; it is in judging what is good that they go wrong. A Censorship upholds morality by preventing opinion from growing corrupt, by preserving it through wise applications, and sometimes simply by defining it. It is impossible to admire too much the art with which this resource, wholly lost today, was employed by the Romans and the LacedÃ¦monians. A man of bad morals having once presented a good proposal in the Spartan Council, the Ephors ignored it, and had a virtuous citizen make the same proposal. What an honour for the one, and what disgrace for the other, without praise or blame of either! No actual punishment would have been so severe. AT first men had no kings save gods, and no government save priests. It followed that there were as many gods as peoples, and that strangers were usually enemies. In pagan times, there were no wars of religion precisely because the god of one people had no right over another. Even Moses speaks of the ‘God of Israel’ and has the Cannanites equally say among themselves, “Is not what belongs to our god Chamos lawfully ours? But, when Jesus set up a spiritual kingdom, he separated the theological from the political; the State was no longer one, and thus began the divisions that trouble Christianity still. Several peoples have attempted to restore the old system: but the spirit of Christianity has everywhere prevailed and the sacred cult has remained independent of the State. Mahomet held very sane views; and, as long as his form of administration continued under the caliphs, that government was indeed one, and good. But the Arabs grew civilised and cowardly, they were conquered by barbarians and the division of the powers began again. Among us, the Kings of England and the Czars have made themselves heads of their Church, but have gained not so much the right to change it, as the power to maintain it. We are told that true Christians would form a perfect society. Yet, if all the citizens were good Christians, a single self-seeker, a Catiline or a Cromwell, would soon get the better of them. To drive out the usurper, violence would have to be employed, which accords ill with Christian meekness. If war breaks out, the citizens do their duty; but what does victory matter to one whose kingdom is elsewhere? Christianity preaches servitude and dependence, a spirit entirely favourable to tyranny. True Christians are made to be slaves. But, let us come back to our point. It is important to the community that each citizen should have a religion that will make him love his duty. There is a sort of purely non-religious faith, which the Sovereign should fix. While it can compel no one to believe, it can banish from the State whoever does not believe- not for impiety, but as an anti-social being. If any one, after publicly recognising these dogmas, behaves as if he does not believe them, let him be punished by death: he has committed the worst of all crimes, that of lying before the law. The dogmas of this civil religion ought to be few and simple, without explanation or commentary: The existence of a mighty, intelligent and beneficent Divinity, possessed of foresight and providence, the life to come, the happiness of the just, the punishment of the wicked, the sanctity of the Social Contract and the laws: these are its positive dogmas. Its negative dogmas I confine to one, intolerance is to be forbidden.